All Parts in contact with the product liquid are made form AISI-316 quality stainless steel alloys to meet exacting requirements of hygienic standard. As the rotors start to rotate, an expanding cavity is formed by rotation of the lobes which creates a vacuum at the inlet port, drawing liquid in pumping chamber. 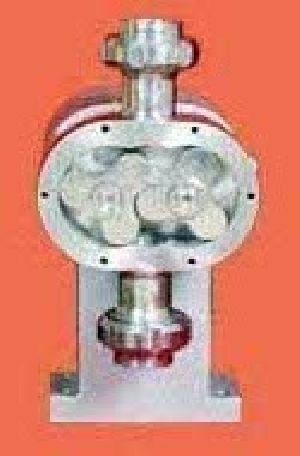 The product liquid is carried between the lobes and positively displaced, thereby sealing itself against the internal faces of the pump casing. The other lobe chamber is filed with the product liquid and about to commence it's discharge cycle. Finally the product liquid is forced or pressed out of discharge port of the pump in continuous smooth flow and pressure generated by the meshing of the lobe rotors. 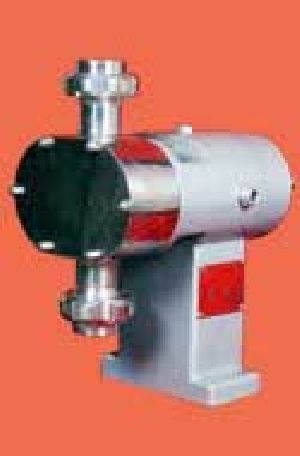 Built - in - With relief Valve: This is also fully interchangeable. But the adjustable automatic spring loaded pressure relief valve provides a definite means of protection. Typical Products Efficiently Handled By S. S. Lobe Pumps Bakery Product Butters, Flavourings, Frostings, Fruit Fillings, Fats & Oil, Sweeteners, Yeast Slurry. Beverage Products Beer, Wort, Yeast, Alcohol, Wines, Soft Drink, Fruit Concentrates & Fruit Drinks. Chemical Products Acetone, Adhesive, Alcohol, Alkyd Resins Ammonia, Amylacetate, Barium Sulphate, Benzene. Canning Products Potato Salad, Baby Foods, Soups, Salad Dressing, Tomato Ketchup, Fruit Juice, Pumpkin Slurry, Cream Style Vegetable, Jams, Jellies and Mayonnaise. Confectionery Products Sugar Syrup, Cream Filling, Chocolate Mixture, Choco- Milk Cosmetic Products Face Cream and Lotion, Lipstick, Hair Dye, Essential Oil, Shampoo, Shaving Cream, Toothpaste. Dairy Products Butter, Butter Milk, Milk Cream, Milk Condensed, Margarine, Ice Cream, Milk Fruit, Yoghurt, Cheese Curd and Whey. Meat Products Meat Chunk, Sauce and Paste, Meat Ground, Pet Food. Pharmaceutical Products Antibiotics, Streptomycin, Cough Syrup, Health Tonic, Pil Paste, Syrups and Extract, Vitamin Malt Fish Oil, Emulsions. Model Port Connection Max head Max. 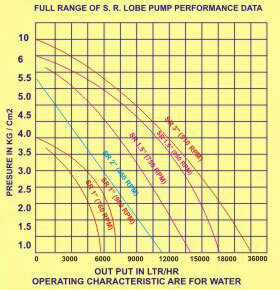 Speed R. P. M. H. P. Pump Max Capacity L. P. H.